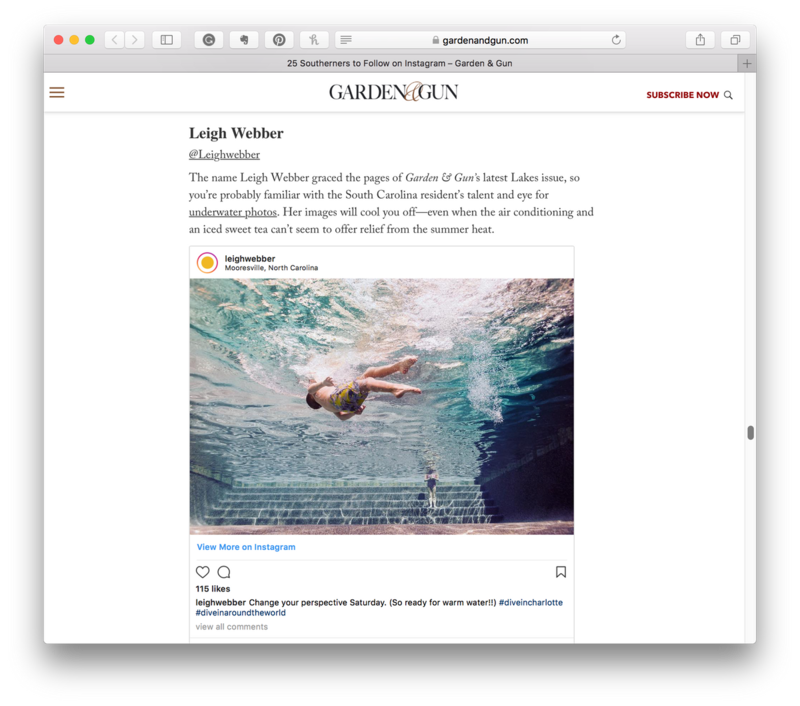 One of Garden & Gun's "25 Southerners to Follow on Instagram"
I'm thrilled to be listed as one of Garden & Gun's top 25 Southerners to Follow on Instagram! "@Leighwebber The name Leigh Webber graced the pages of Garden & Gun’s latest Lakes issue, so you’re probably familiar with the South Carolina resident’s talent and eye for underwater photos. Her images will cool you off—even when the air conditioning and an iced sweet tea can’t seem to offer relief from the summer heat."